"Yelich, 26, has hit 33 home runs this season and has the third best batting average in baseball, displaying the ability to make a difference with both power and placement; making him the jewel in the crown of a batting lineup that features a trio of hitters with over 30 homers this season." The NL Central is home to the two best records in the National League, the Milwaukee Brewers (91-67) sit half a game behind the division leading Chicago Cubs (91-66) in a race that will go down to the wire and should determine not only which side avoids the wildcard game, but also who will claim home advantage throughout the playoffs. MVP candidate Christian Yelich is, undoubtedly, the key man for the Brewers. The left fielder had six RBIs in last night's 12-4 demolition of the St Louis Cardinals to take his RBI total to eight in the series and 11 in his last three games. 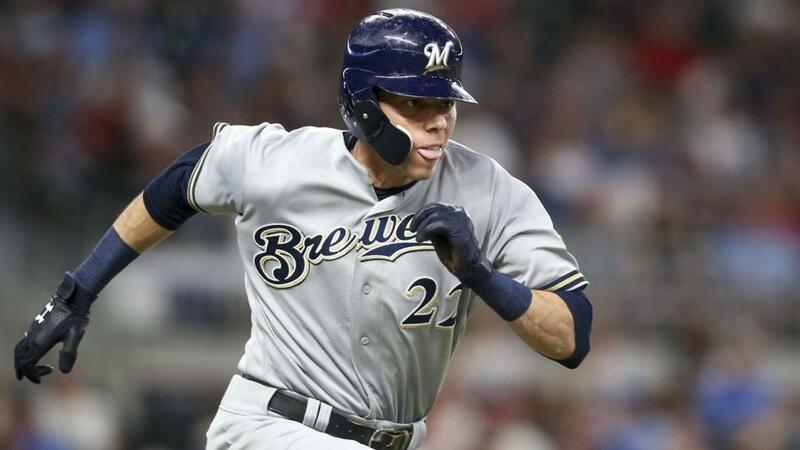 Yelich, 26, has hit 33 home runs this season and has the third best batting average in baseball, displaying the ability to make a difference with both power and placement; making him the jewel in the crown of a batting lineup that features a trio of hitters with over 30 homers this season. St Louis, still in contention for a wildcard, have conceded the fewest home runs in the majors this season but with several options available to the Brewers I expect them to score heavily off Cardinals starter John Gant who has struggled with control issues most of the season, with Yelich a decent price to add to his home run total. Much like the NL Central the NL West is incredibly close with just half a game separating the Colorado Rockies and the Los Angeles Dodgers. Complicating things even further is the fact that the St Louis Cardinals could overtake both in the wildcard race, if they can overcome a tough final week, so winning the division is paramount for both Colorado and LA. This is where the Rockies have an advantage; Bud Black's side are at home for all their remaining five games and face a Phillies team who they have dominated over the last few nights. Colorado have won 10-1 and 10-3 already this series and, behind the arm of emerging star German Marquez, should improve their winning streak tonight with a similarly commanding performance. Colorado have star shortstop Trevor Story back from injury and a couple of other hitters in good form, exactly what they'll need in a tense finish to the season. With the NL West title race going right down to the wire I think now is the time to get behind Colorado, with Los Angeles worth laying at 2.06 to win the division. Another reason the Rockies will be feeling confident of overturning the Dodgers' division lead is the fact LA face five time All-Star Zack Greinke in tonight's game in Arizona. The former Dodger hasn't been at his dominant best this season but he has still flashed the ability to comfortably control hitters. Greinke faces Ross Stripling, who started the season in very impressive form, earning him his first trip to the All-Star game but has since struggled with injury and is now being heavily restricted as LA try to keep him healthy going in to the playoffs. Stripling has given up a home run in each of his three starts since recovering from a back problem, putting LA in trouble early in each game. With the likes of Paul Goldschmidt and A.J. Pollock in the D-backs batting lineup and backed up by one of the most proficient defences in the league, Greinke will fancy his chances of collecting his 15th win of the season and derailing the Dodgers divisional title bid.